Home > women > How to Find Beauty in Your Now! Finding beauty in your Now is the point of all power that unlocks healing, growth, strength, peace, desires, success, and happiness says my guest this week on the Mindset Transformation radio show and podcast. This week I interview Aireka Harvell, aspiring motivational speaker who focuses on transforming the minds and lives of women with her blog “Be That Woman.” She is also the Founder of Nodat Place Advertising LLC. where she encourages and promotes female entrepreneurship and offers daily motivation and support through her social media platforms. Aireka has a powerful story of overhearing a mother telling her son that she was ugly and that she would treat him better when she was just 9 years old. That tag stayed with her throughout her life and gave birth to low self esteem, becoming a Pleaser and allowing her husband to mentally and physically abuse her. Aireka lived in darkness for most of her life, until one day she heard the voice of God telling her to Help other women “Be That Woman” he made them to be. Today she has a huge following on Instagram and on her blog and offers Hope and Encouragement with her daily posts. Listen to find out How to control your mind and bring it under subjection when thoughts of fear and hopelessness threaten to stomp out your joy. Learn that there is opportunity to learn and grow from every situation. Man: Well what talents I have and there are not much, I take good care of. I kind of pace myself, you know. No, No,No God shouted, your answers are all wrong. Don’t you remember the story of the talents? Man: Yes I think so … You gave each of three men a different set of talents. To one man, you gave five talents. To another man, you gave two talents. And to the third, you gave but one talent. “That’s right says God: and some years later I checked up on each of these three men. I was pleased to find that the man with five talents had multiplied his talents by working hard, and applying each one. The man whom I gave two talents had also labored hard and multiplied them. But when I checked with the man I had only given one talent, I became very angry. For that man had buried his talent in the name of protecting it. To which I cursed him saying “thou wicked and slothful servant” how dare you not use the gifts I gave you. You Knew that I reap where I have not sown and gather where I scattered no seed. Do you not get the point of this parable? Man: Yes I think so. I am to use the talents you gave me and multiply them to help others. God jumped to his feet “No, No, No, he shouted. “When will you learn, you are totally responsible for your life, no exceptions. You are totally responsible for the results you obtain. Not your mother, not your father, not your boss. It’s not the breaks, that control your life, it’s you. Don’t ever say that is the way the ball bounces, that it is the way the cookie crumbles. You must bounce your own ball! Man: Okay, okay I think I see. The fact is that I have been put on earth to succeed, I have an obligation, a responsibility, to use my abilities to the fullest. I must control my life, for I wasn’t designed to be led. I prefer excellence to mediocrity. I won’t prevent my own success, for all success requires is that I am here, and that I use my talents to the world and not wait for the world to come to me. And I will act now, no matter how convenient waiting may seem, no matter how imperfect might be the results I obtain. Tears welled up in God’s eyes, a smile creased his face. There is so much beauty in the world—and because this crazy, gorgeous life is so fleeting, I want to focus on the beauty. No, I won’t turn my eyes away from the horrors of the world. But I also won’t become so consumed by these horrors that I no longer notice the wind dancing on the water. Or the tender grasp of my lover. Or the plant on the windowsill stretching toward the sunlight. I’m not trying to downplay the crap. But I don’t want to crumple into a small, powerless mess each and every time I read the news. Negativity sells. Sensationalism sells. But this is not reality. Sure, man’s inhumanity to man is real. But generosity, kindness, humility and love is also real. And I still believe in humanity. Only a tiny bit of the present world can be summed up by violence and acts of terror. Only a tiny bit of human history can be summed up by wars and acts of cruelty. If you liked this content remember to share, subscribe to my iTunes podcast and write a review. Once you do, send me an email to info@myhelps.us with the subject line “Podcast review” and I will send you one of two gifts. 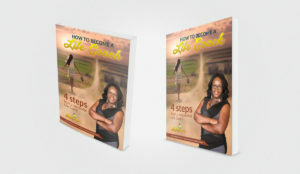 My eBook “How to become a Life Coach” or a “Mindset Shift Focus Wheel” a workbook to change from a Fixed Mindset to a Growth Mindset. Previous Post Real Estate Investment: Fund, Fix, Flip series – Are Rental Properties worth the Headache?